In July 2016, Mark Moran Vaucluse, the latest world-class Retirement/Aged Care Living Facility and Lifestyle Precinct from the Mark Moran Group opened in Vaucluse. 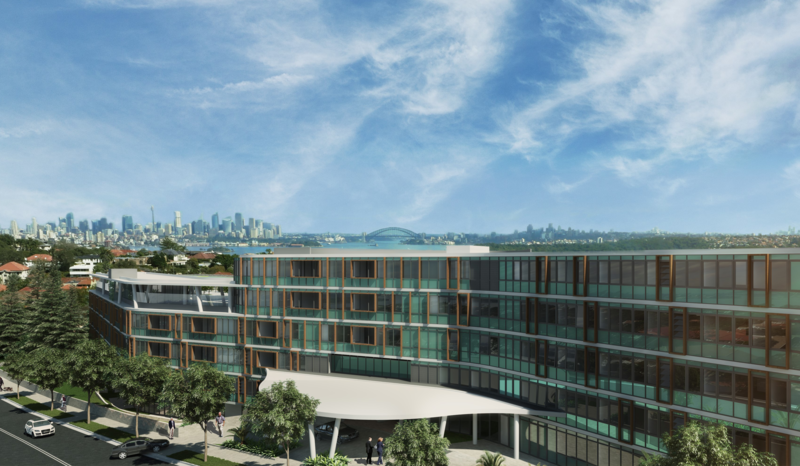 Boasting views from the rooftop garden over both Sydney Harbour and out to the ocean, the development offers the highest standard in Living Spaces for elders. The standard of fire engineering was therefore required to be commensurate to the quality of the development. From concept design through to construction and handover, CORE Engineering Group (formerly as RAWFiRE) played a key part in achieving the functional, operational, economic and aesthetic goals central to the success of the project. For members living in the building and new staff working in the building, they will have the benefit of naturally lit corridors through both the north and south wings of the building. Despite the prescriptive constraints on compartment sizes and connection of storeys, CORE Engineering developed a performance based solution to permit lightwells, relying on horizontal glazing at each level protected below by side-throw sprinklers. This solution was able to transform the design and allow a much more open and comfortable feel for these internal corridors. Along with the lightwells, various other performance based solutions were developed by CORE to achieve the project objectives whilst ensuring life safety was the priority, especially due to the high risk nature of the occupancy. Notably, in depth computational fluid dynamics analysis of the central atrium demonstrated the provision of smoke exhaust was not necessary to satisfy the above criteria. Furthermore, pressurisation of various stairs in the development were assessed not to provide tangible benefit to life safety and therefore not required. Following CORE’s input to the project, the facility has reached completion and shall operate with occupants in a safe yet luxurious building.